Hello and welcome to the Jaded Blossom stamp release blog hop! We are very excited about our new stamps and can't wait to share with you all! Here is the order for the hop in case you get lost along the way..
Now... who wants to see the releases?!?!? :) They can also be viewed in the Store. Cheesy Pick Ups! This set is 4x6. 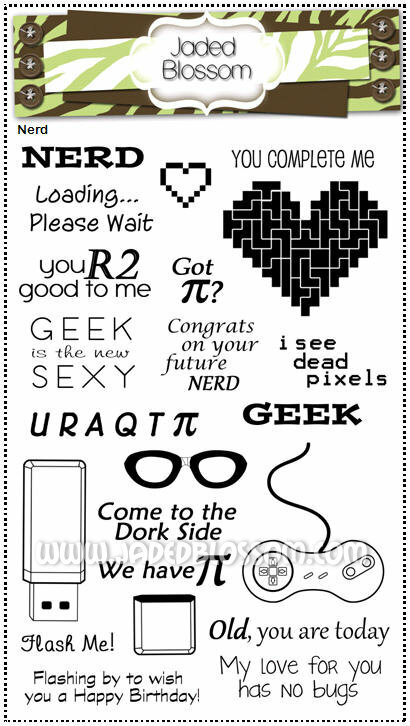 Special Thanks to Ruthie for your awesome ideas on the nerd set! 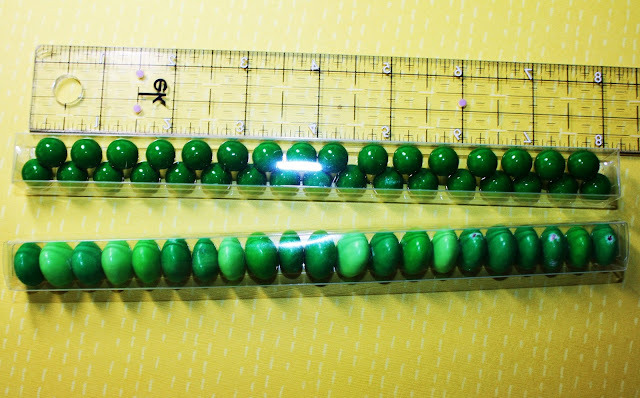 Circles fit in a 1 3/4 inch punch. Most sentiments fit inside the circle. 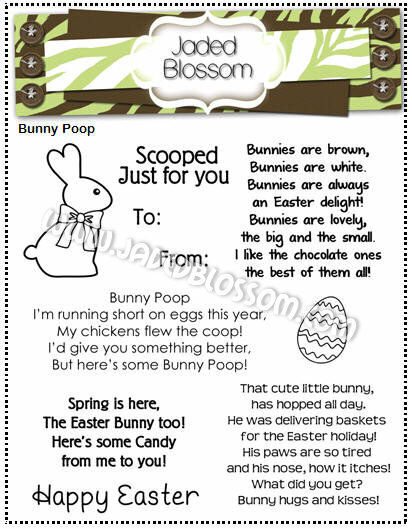 And of course what is a Jaded Blossom stamp release without a new favor item! Stick Boxes! These are 1x8 inch boxes! They hold bigger candy than the bags. For example the green M&M's on the bottom are Peanut M&M's! These come in quantities of 25 for $6.50! Want the entire stamp release? This weekend ONLY we are offering at a discounted price for $89.99 (regular $96) on the February Stamp Release Package AND the first 25 customers who buy the entire release package receive 100 FREE 1x8 stick bags! And the best part about our stamp release... no waiting!! Thats right, We have EVERYTHING on hand ready to ship out ASAP! Click here to go to the store! All orders will ship out the next business day! So.. whats a stamp release without PRIZES?!?! We are giving away some Echo Park 6x6 paper, Twine AND 100 1x8 bags! 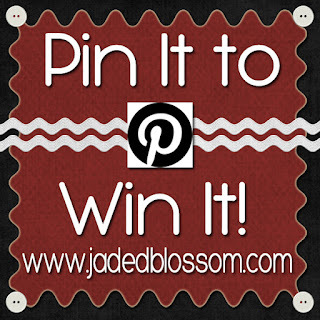 All you have to do is be a follower of Jaded Blossom blog and leave a comment. Winners will be chosen from ALL blogs so if you leave comments on all the blogs you will have a better chance at winning a prize!! 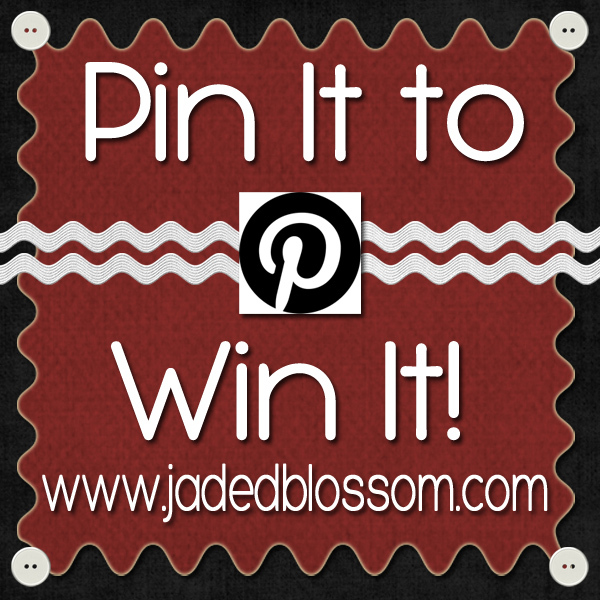 PIN IT TO WIN IT CHALLENGE! Do you want to win one of the newly release stamp sets? You can pin it to win it! 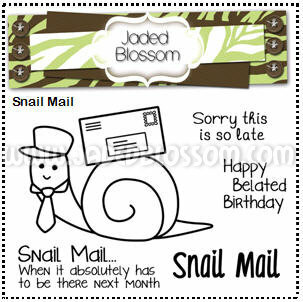 On the Jaded Blossom Pinterest Board all 9 Stamp Sets have been pined. Simply repin them and then write on our facebook page wall that you repined them! NINE people will win one of the stamp sets! It's that easy! Winners for the blog hop and Pin it to Win it Challenge will be announced on Monday! Next up on the hop is Michelle! Here are the links once again in case you get lost..
SOOOO super cute!! ♥ the new stamps!! OMG I love all the new stamps and went and ordered before going through the blog, sorry impatient here and I love stamps. I followed all the extra steps and advertised on my FB page! Your DT rocked showcasing your new stamp release. How did we cope without Pinterst in the past? I love, love, LOVE the funny mail! Great stamps. Oh these are the greatest stamps! I haven't seen anything like them before ` Kudos to whomever thought of them!!! Thank you for the awesome prize package! Pinned your hop button on my blog! Good luck everyone! Love all the new stamps.... but of course, being a postal worker, my favorite has to be the funny mail & snail mail.... lol Lots of cute projects from all the design team. These stamps are adorable every release your DT comes up with something amazing!! Love those new stick boxes. how adorable are these stamps! I love the new candy stick container too! Congratulations on another adorable set of stamps! They're awesome! You know I Love the new boxes too!! Can't wait to get my hands on your new goodies. WOW~~ Loving the new stamp releases! They are too adorable! Thanks for sharing and now off to hop through! Just finished Hopping and repinning. 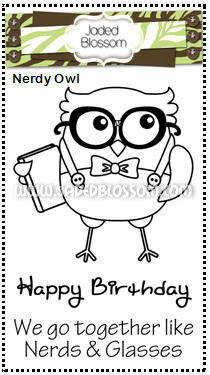 Awesome Release of these stamps sets they are all must haves and so cute. Great job from all the DT's showcasing them too. I love the new stamps! They are so cute! The new stamp sets are outstanding. Cute and funny. Love them. I'm a new follower. Great stamp sets! I'm already a follower. Adorable stamps sets. I am off to go do the blog hop. Can't wait to see what everyone created. I love love this release especially funny mail! Fabulous job to everyone on their projects! What an inspirational hop. Happy Friday! WONDERFUL release...I love the fonts and all the fun sayings! Great job! Awesome stamps and a great giveaway! I just signed up to follow your blog! Off to see the others now! Love all of it. Great job ladies!!! Oh my gosh!! Those stamps are SO cute! Great creations! Going to have to get some for my Valentine stash! Thanks for the giveaways! Have been following you on Facebook and always checked out your blog, now signed up to follow by email and on pinterest. Now hopping along to the others... C-Ya! OMG, I am loving these stamps, some are just too funny!! These stamp sets are awesome!! Very cute!! Can't wait to get mine! WOW!! !luv all ur new sets!!! Great new release. 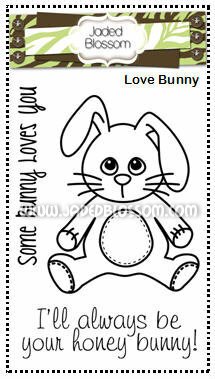 Lots of fun stamps. Your stamps are so cute!! Thanks so much for sharing them. 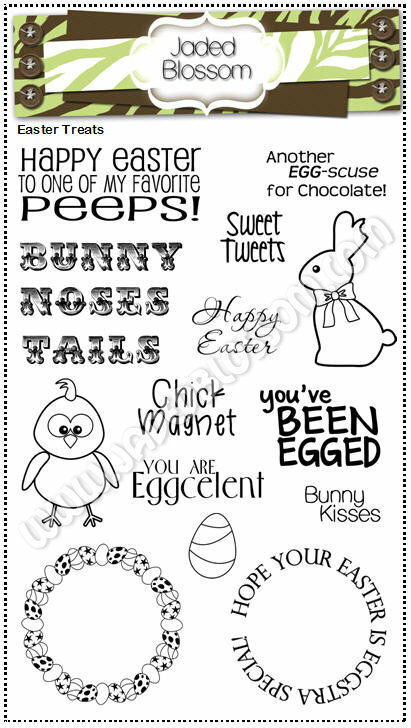 Love all the stamps :) I will definitely be getting the Easter bunny owl!! Just found your blog and became a flower. I just love your stamps. You have a great variety to fit all different events. So glad to have found you. I pinned all your stamp sets andf become a follower. Would love to win a set. The new stamps are great! OMG, I am loving all your new stamps!!! 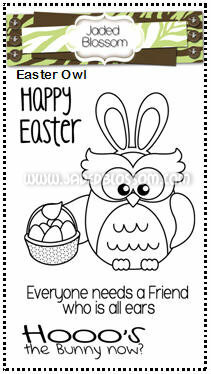 The Easter Owl is my favorite.. Thanks for the chance to win.. I've never seen your stamps before, super cute! Off to hop now! love this new release and i haven't even finished playing with last months! had to have my son come over and show me how to do the pin thing though. i'm definately electroically challenged. I have a FAVORITE!!!!!!!!!!!!!!!!!! That Cheesy Pick Up set is AWESOME!!!!!!!!!!!!!!!!!!!!!!!!!!!!!!!!!!!!!!!!!!! !